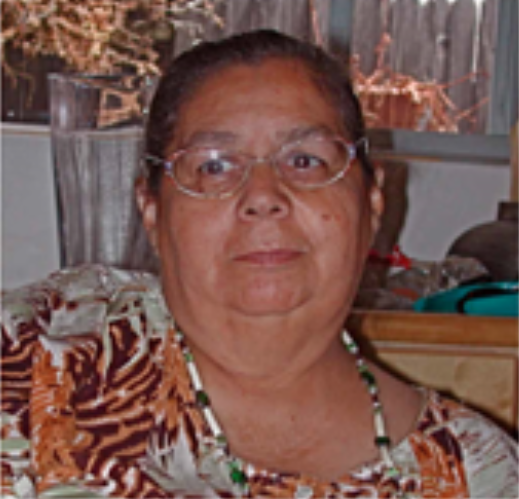 Julia Louise Bogany is a Gabrieleño / Tongva Elder and a member of the San Gabrieleño Band of Mission Indians in the San Gabriel Valley and is their Cultural Affairs Consultant. She serves on Several Committees and Organizations including The Chaffy College Equity Council, Pomona Human Relations Board Member, The Riverside School District Native American Consultant, California Indian Education Association, a member of the California Indian Basket Weavers Association, and she is President of Residential Motivators, her consulting firm. Julia has years of training in Child Development, Indian Child Welfare, and Native American Studies. She is fluent in English & Spanish. Julia was a preschool Director, anda after-school Middle School Coordinator and she has instructed Child Development for home Day Care. She assists the Gabrieleño – Tongva tribe and the Fontana Native American Indian Center with grants. She represents her Gabrieleño – Tongva tribe at many events and activities. She has worked for over twenty years for her community and for her tribe. She is a strong advocate for ICWA & FASD. Julia is also part of the revitalization of the Tognva Language program. Also Heads the Demonstrators and Display Table for Moompetam events at the Aquarium of the Pacific. She also serves on the Steering Committee as well as is an active participant.